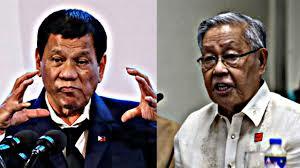 Ex- Chief Justice Hilario Davide shouted that the intention of President Rodrigo Duterte to change the 31 year old government to a Federal form will be like a hell to Filipinos. He explained further that the federal government will be a patrimony to politicians who wants to extent their terms and seek more power and authority to their premise. Davide who was one of the pillars in the 1987 constitution implementation firmly said that the Charter Change or the adoption of Federal Government is a couch to politicians and will bring the new breed of paradise into self-motivated interests who wanted fame, power, and fortune.